It’s that time of year where the sights and sounds of spring begin to unfold, which is an especially welcome sight for those of us who live in the North. After being cooped up behind closed windows and doors for six months or more, I am more than ready to see things sparkle and shine again. I think there is something so refreshing about turning the page on winter and welcoming in the newness of spring. 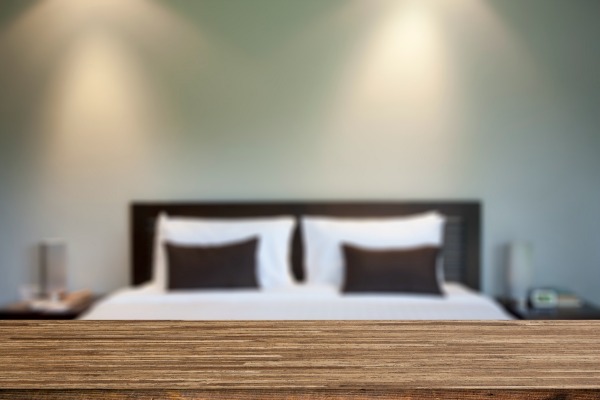 Maybe, you’re like me because sometimes it’s helpful to have a checklist of household things to clean that are quick to really get my cleaning motivation on, and that’s where this list of spring cleaning ideas comes in. I find that having a list of spring cleaning ideas also comes in handy because I don’t need to take the time to think about what to do. I only need to get in there and start cleaning! 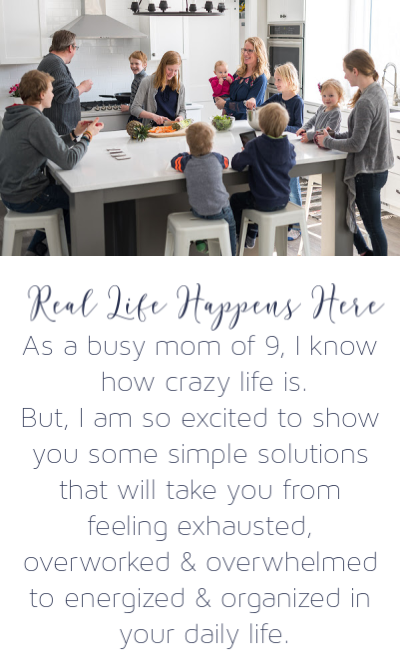 Ready to make things super easy? 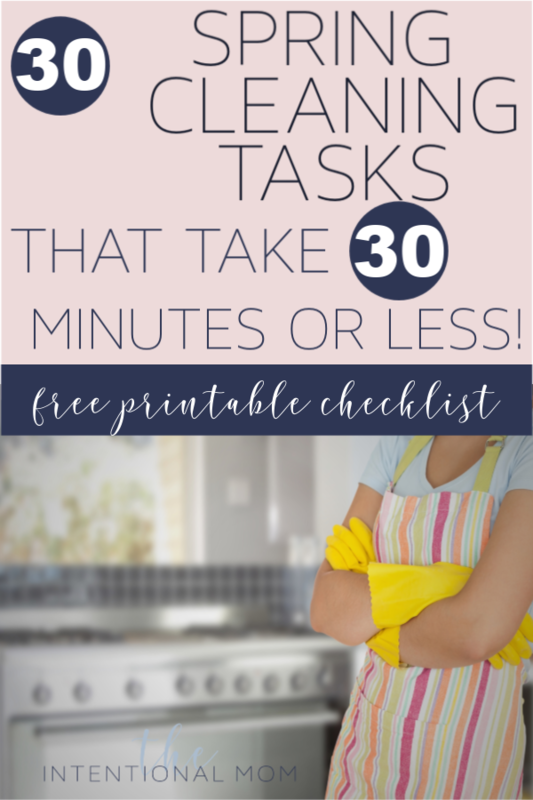 You can get this checklist in printable form. Just tell us where to send it! Enter your email below to get started on your spring cleaning STAT! Success! Now check your email to grab your download & get some other cool stuff with your subscription. 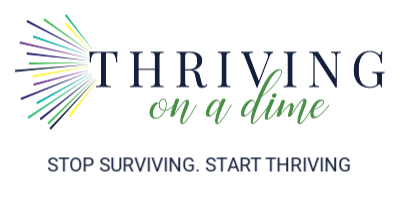 A few years ago, I created this list of projects that I can complete in 30 minutes or less to take the overwhelm out of coming up with what to do. When I have 30 minutes, I can just grab something off the list and get right to it. Once they are done, there is more time for doing what I want to do rather than always having to do what I have to do. And honestly, 30 minutes is about all the time I get at one time. This list won’t get everything done (I have more than 2 bedrooms and 5 windows for instance). 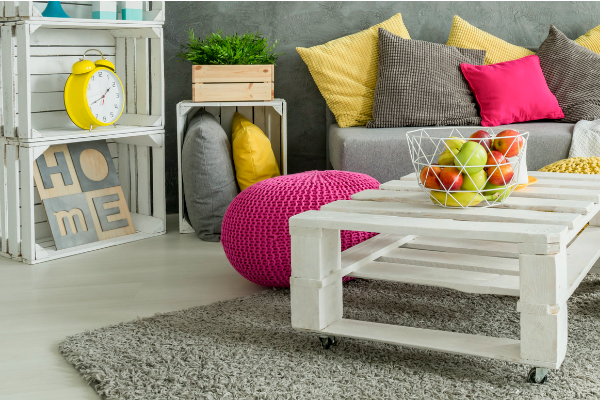 But, the spring cleaning ideas listed here can be used as a baseline and repeated as often as necessary to get your entire home fresh, clean, and ready for spring. 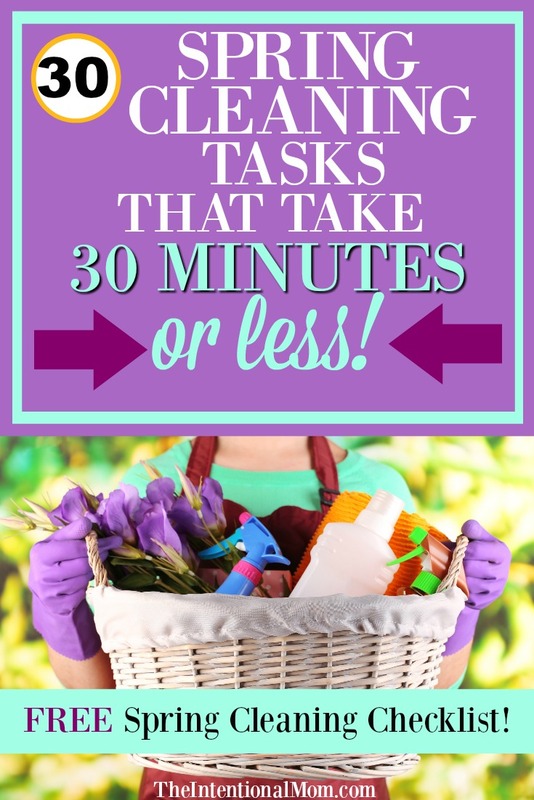 Here is a checklist of 30 spring cleaning tasks you can get done in 30 minutes or less – and GO! If you’ve got spring cleaning on the brain, here is a list of projects that you can tackle without having to put the time and effort into thinking about what needs to be done. Now, all you need to do is get started! If you get this list done, you will feel awesome! Then, sit back and admire your work! 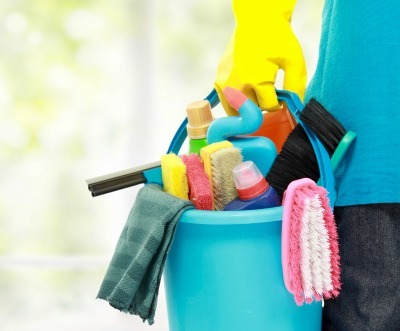 Don’t forget to grab your spring cleaning checklist below! Looking for more cleaning? Check these out! I hear you. The state of my garage after the winter is often rather sad! I am slowly working my way through this list, although there are a few things I tend to forget about, such as the lamp shades and inside the cupboards. Thanks for reminding me!